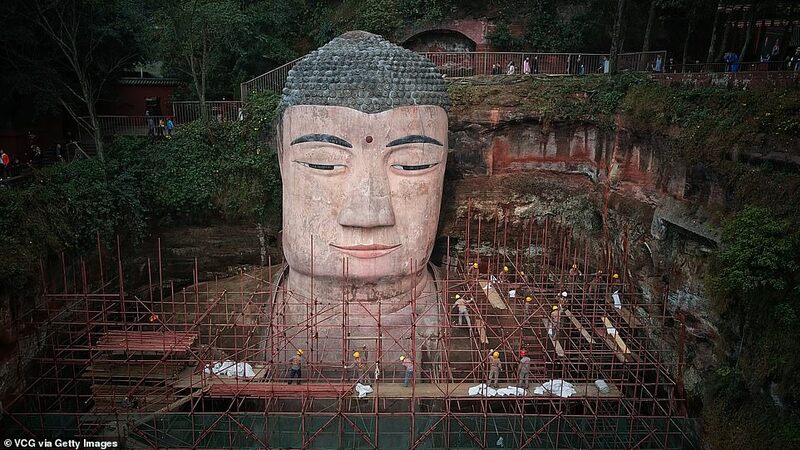 The repair project started in October last year and the Buddha was covered up in scaffolding. The scaffolding was removed in late March after experts mended the cracks and tears on the statue. 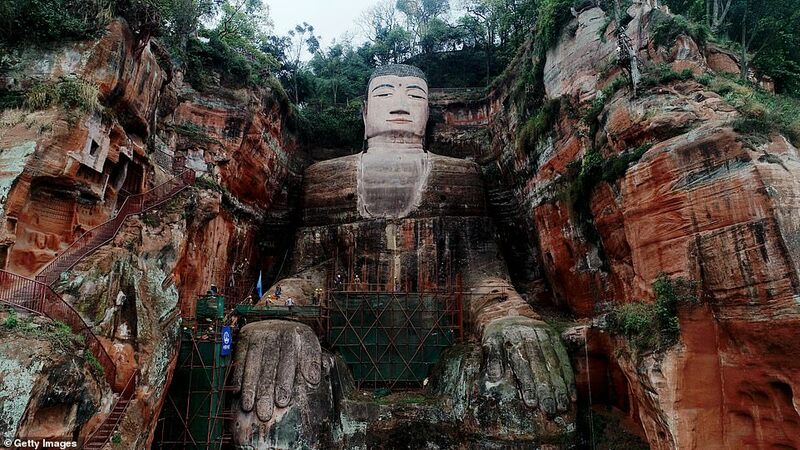 Tourists are once again able to climb the 250 steps leading to the top of the Buddha's head - also carved out of the mountain - and see the entirety of towering sitting Buddha from the Min River by the mountain.